Being the progeny of immigrants, I’m sympathetic to their cause. Still, I’m convinced large-scale, legal immigration has hastened the withering of the middle class. There have been other causes, including changes in tax policy and the global economy. But I was surprised to learn recently how significant an impact immigration had on the downward spiral of wages. With thousands and thousands of Baby Boomers leaving the work force for retirement, wages should be going up. That’s the simple law of supply and demand. Immigration, however, has provided a counter balance and prevented this. Indeed, opening the borders sometimes seems like a purposeful antidote designed to help labor-intensive corporations. This is mostly likely why the U.S. Chamber of Commerce is a strong advocate of robust immigration. Congress, perhaps responding to appeals by business, has frequently and consistently raised the level of legal immigration. In 1965 it was at 290,000 annually. Today it is about 1.1 million. This is legal immigration, and it is four times higher than any other country. Philip Cafaro, author of “How Many Is Too Many? 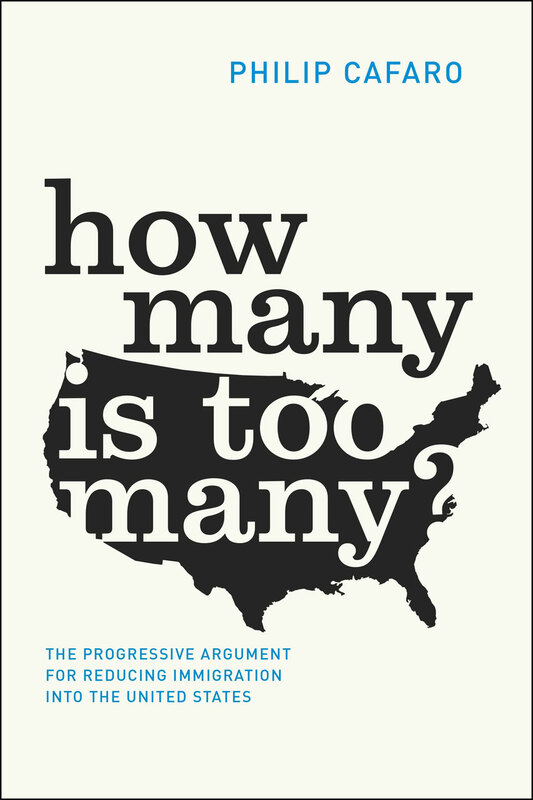 The Progressive Argument for Reducing Immigration Into the United States,” gives a thorough accounting of all this in a recent edition of the Chronicle of Higher Education. Cafaro sites studies by Harvard University economist George J. Borjas, a leading authority on the economic impact of immigration. Borjas found that in the 70s and 80s, a 10 percent increase in the number of workers in a given field decreased wages there by 3.5 percent. A more recent study showed that such an increase reduced wages of African-Americans by 4 percent, lowered their employment rate by 3.5 percent and increased their incarceration rate by almost one percent. It’s good at least that today there is a great deal of talk about the withering middle class. 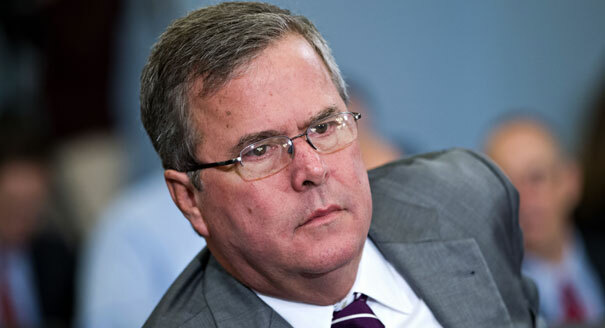 Even Republicans now recognize it will be a critical issue in the 2016 presidential race. In an attempt to get in front of the issue, candidates like Jeb Bush are already saying they want to reverse the trend, although they provide few details. If politics were not a factor, a solution could be easily found. 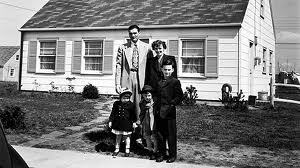 The strong post-war middle class in the U.S. was created primarily by tax policy. This policy was heavily graduated, meaning you paid a lot more if you made more a lot more. That policy no longer exists. Returning to it would easily restore the middle class, but it is unlikely the Republican Congress will choose this route. There is, however, a consensus that a middle class, if one is desired, must be created, otherwise there will only be rich and poor. One was created in Europe during the 14th and 15th centuries. Unfortunately, the creative force was the Black Death — the bubonic plague that may have killed one out of every three Europeans (about 20 million). With the labor force devastated, there was upward pressure on wages and the ability of farmers to earn a much better living. Some reports say farm income increased by 50 percent. In addition to creating the middle class, the plague often is credited with spawning the cultural rebirth known as the Renaissance. The Black Death is a high price to pay for a middle class, even if it is accompanied by a renaissance. Changes in the tax and immigration policies might be a better way. But because government move in micro increments, this is unlikely. Any significant change probably will have to come through some unseen, forced hand. If this is true, let’s hope it’s a kind one. How long before the great income grab is reversed? Not long. The first real understanding of my value as a worker came during a company Christmas party. I was a young reporter for a family-owned media company. My fellow employees and I had already received the gift of a free turkey, and now there was this party, grand and lavish. It was a time when newspaper margins were around 40 percent. Printing a newspaper was like printing money. The party was held in a big banquet hall. Hundreds attended. There was a generous buffet, music, dancing and an open bar for the entire evening. In general, the company did well by its employees. The founder was a tough, bull-headed union-buster, but when I worked there raises were given four times a year, the food in the cafeteria was subsidized and supervisors were honored at an annual dinner. Prior to that, I had seen myself as an expendable, replaceable cog. But this co-owner, this daughter of an entrepreneurial risk-taker, was shifting my view. I hadn’t recognized it yet, but she knew that without workers a hundred printing presses could not produce a single paper. Still, she was neither ready nor willing to change the rules and divide the profits among workers. That’s a different ideology, one totally alien to our system, one that threatens and offends. Then I went to New York City and found out it wasn’t. I was still learning the way of the world and on this visit to see friends I discovered how lawyers became partners. My friends were a former reporter and her boyfriend lawyer. He didn’t go to dinner with us that Saturday night because he was working on an investment banking deal. He was trying to make partner. I envied his chance to become a partner. Now that I think of it, he probably was the first person I knew who was capable of using hard work to earn equity ownership in a company. Why was law different from other professions? To begin with, there is no huge investment needed to start up, nothing like a printing press. Also, lawyers tend to see themselves as professional equals. And there probably is some precedent, a near-ancient tradition, of taking on partners rather than employees. What’s more, it is easy for the good ones – those who bring in big clients — to leave and hang up their own shingles. A factory worker doesn’t have that kind of leverage. But if there exists a universal law of fairness, a standard morality for the value and worth of labor, then leverage shouldn’t be a factor. Of course, there is no morality in the marketplace. If people will work for substandard wages, that is what you pay them. And so unions came to be. We think of unions as a modern concept but the idea and practice go way back. The founders of Rome, in 753 B.C., may be partially to blame. 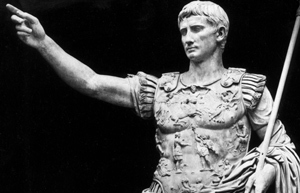 As Rome grew and incorporated other provinces, the new citizens didn’t integrate. They stayed in their towns, kept their habits and traditions and failed to adopt a Roman identify. So an edict was issued requiring people to relocate to districts organized around trades. If you were a carpenter, you lived among all carpenters. Naturally, trade associations formed. It was a new unifier. In time, these associations became quite powerful. Even the kings of France had to contend with them. In an age when candles were the chief source of lighting and a significant expense in a large palace, money could be saved by letting them burn to the end. Practical, but the guild in charge of candles wouldn’t allow it. It required that candles be replaced when half burned. Unions in the modern era continue to be associated with self-serving, costly inefficiencies. Unlike the lawyers who must enrich their firms in order to become partners, unions too often weaken their companies, making workers liabilities rather than assets. And companies today are quick to get rid of liabilities. What unions are good at, however, is their ability to show management the true value of labor. By unifying the powerless, power is created. In speaking with one voice – “no we won’t work for poverty wages” – unions effectively alter the marketplace. They grant the common folk a degree of dignity and allow them to pursue happiness. But with global competition so fierce, it has become impractical and unwise for unions to advocate uncompetitive practices. What they should advocate is efficiency, innovation, profit and partnership – true equity partnership. Unions gave us the weekend but if the incentive of partnership is applied (making Friday two work days until Monday) companies could get them back. Would companies actually make their worker’s partners? Under the current climate, no. Even discussing the idea seems ridiculous and beyond farfetched. In the golden age of unions – after resistance that included shooting strikers — companies decided there was enough growth and profit to meet the demands of organized labor. With profit in mind, there was a willingness to share. Henry Ford would benefit if he could keep cars rolling off the assembly line and meet the heavy demand. And besides, workers with money buy things – like cars. 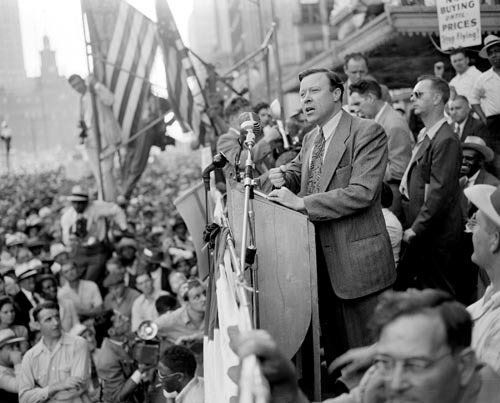 Walter Reuther knew the middle class fueled the economy. For the most part, the willingness to share is gone. According to the Center for Budget and Policy Priorities and many other sources, a significant income gap between classes existed from the 1940s into the 1970s, but it did not grow. But after the early 70s and up to today, income concentration at the top increased dramatically. The last time the disparity was this great was prior to the Depression. Various sources, including University of California at Santa Cruz Professor G. William Domhoff, in his blog “Who Rules America?,” report that in 2010 about 1percent of the U.S. population possessed 35 percent of the wealth. The top 20 percent had 89 percent, leaving the bottom 80 percent with 11 percent. Also reported in various places, including the Los Angeles Times, is that from 1993 to 2012, income of the 1 percent rose 86.1 percent while income of the other 99 percent rose 6.6 percent. As wealth became concentrated at the upper tier, billions in cash was stockpiled by American corporations. For one, the labor market. When Apple is ready to roll out a new iPhone, poor farmers in Katmandu drop their plows and fly to factories in Malaysia. This is not a rhetorical sentence. Journalist Cam Simpson documents Apple’s labor supply chain in an incredible piece of investigative reporting for Bloomberg Businessweek. His story tells how labor brokers fan out to the poor countries of Asia when Apple launches a new product. The people they find pay them for jobs and keep paying as the process continues. Often, they pay with borrowed money and go deeply in debt. One was Bibek Dhong from Nepal. He paid a single broker the equivalent of six-months wages. The fee secured him a job in Malaysia with Flextronics, one of Apple’s chief suppliers. Before he could pay off his loans, production shifted to another country (better performance) and he lost his position. His passport was held and he could not get home. He feared he would be arrested. Before he received help from Flextronics, he ran out of money and nearly starved. Not exactly a union shop. But as China has realized, when companies get richer, when commerce thrives, when corrupt leaders and their families amass great, visible wealth, expectations rise and workers lose their complacency. They demand more and often get it, until the factories move to a more accommodating country. Sooner or later, corporations are going to run out of countries. Sooner or later, a floor will form under the global labor market. From there, workers will stand. That’s when corporations are going to need a new plan. And that’s why I’m suggesting one now. In the U.S., people are finally waking up to the subtle yet systematic dismantling of the middle class, which has been occurring for decades. With less spending power, average families find it difficult or impossible to send their children to college – once the gateway to upward mobility. Those who do make it to college find it hard to get jobs when they graduate. The bleakness and lack of opportunity, the malaise of our times, is truly settling in. To see inside this looming class crisis, look toward Seattle, the home of Boeing. Timothy Egan, a Pulitzer Prize winning journalist and winner of the National Book Award, wrote an opinion piece in the New York Times Nov. 14 called, “Under My Thumb.” The title refers to Seattle’s position vis-a-vis Boeing. Like many big corporations, Boeing hold jobs hostage as it demands and gets hefty tax breaks. As Egan points out, when anyone or anything shows resistance, companies like Boeing threaten to leave town. Boeing is seeking concessions in exchange for keeping assembly of the new 777X jet in Washington State. For its part, the state of Washington provided a incentive package that included an $8.7 billion tax break, which Egan called the largest single state-tax giveaway in the nation’s history. But Boeing also requires that workers accept cuts in pensions and health care benefits. Unlike Washington, the workers said no. Refusing to allow the “Walmartization of aerospace,” the machinists who would build the 777X turned down the offer by a 2-1 vote. Jump now, if you will, to the town of Richmond, California. In Richmond, like most of the U.S., people were talked into taking home mortgages they couldn’t afford. When the housing bubble burst, they ended up owing more on their mortgages than their homes were worth. What is unusual is the protective reaction, possibly unprecedented, taken by the town fathers on behalf of residents. Basically, they told the banks holding the bad mortgages to renegotiate the terms or Richmond would confiscate the properties through eminent domain. Under this plan, the banks would receive 80 percent of each home’s current worth – much less than the original purchase price –and the town would reform the mortgages so owners can afford them. Meanwhile, all across the country fast food workers are trying to nearly double their hourly wage to $15. Not too long ago, the Occupy movement surprised everyone when it surfaced to protest almost everything. It stayed around much longer than anyone expected and started widespread discussion of the 1 percent and vast income disparities. What else is out there waiting to bubble up? I sense there is a lot. Nature and the human spirit, in time, tend to correct imbalances. I believe this correction has begun. When there is too much of one thing, the other thing comes. And when the other thing comes, I hope we are ready for it. We might prepare by realizing that we all have a stake in each other’s well being, that each plays a role in the ultimate success of our society and that respect and dignity should be afforded to all. We are a tribe – we humans — and members of a tribe should look out for each other. I say, let’s act more like partners. Let’s all rise together. That means valuing each other properly and recognizing that all roles are important, that we’d be in big trouble if one day no one wanted to pick up the trash. Providing an equity interest to all workers – even a thin, thin sliver – is progressive and revolutionary. It may even be moral, wise and an effective business strategy. 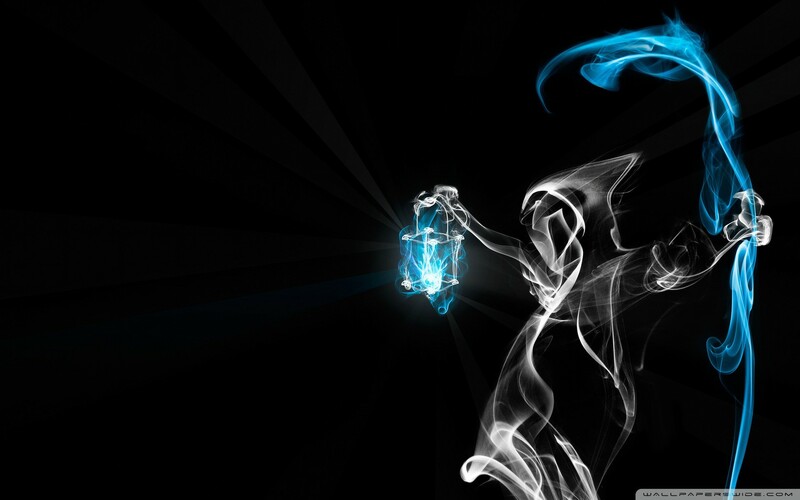 But for it to happen, something cataclysmic must occur, or the vision of something cataclysmic must appear. In the meantime, it is likely that agendas will slowly change (perhaps preventing any cataclysm). This fall, for example, Bill de Blasio was elected mayor of New York after saying he would trim the gap between rich and poor. Other politicians, in a discovering of new voting blocs, may decide to do the same and relieve the working poor of its distress, better balance wealth and create a more secure, just and – I think – more prosperous society. A person with disposable income, after all, fuels the economy and is less of a burden on government. Tax policy, a major cause of the wealth shift, also will have to change. An almost whimsical proposal comes from Robert Shiller, who on Dec. 8 received the Nobel prize in economics. 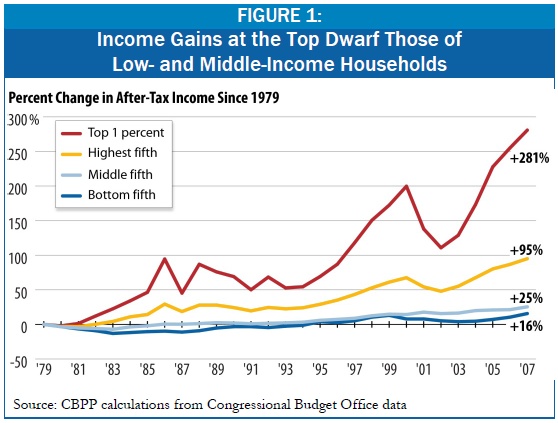 To stop inequality from rising, he suggests raising taxes on the rich whenever their share of income starts to grow. Should any of this actually happen, it won’t come solely out of true enlightenment. As always, it will come mostly as a way to preserve and protect – through concessions – the self-interests of the powerful. This is OK. It will come through changing market forces resulting from a shift in culture, attitudes, expectations and action. Those forces, nearly invisible now, seem to be coalescing. I don’t think they can be stopped. When there is too much of one thing, the other thing comes. That’s the natural law. The problems of poverty and inequality have always bothered me. This is so even though I’ve not been poor nor have I ever lived among the poor. Why then, I ask myself, do I have this strong sense that it is morally wrong to allow the sad side of civilization to exist? Others are free of this burden, why not me? The great religions speak against poverty and urge attention and compassion. Yet legislators who profess these faiths will happily cut $40 billion from the food stamp program. While my empathy for the poor and the marginal working class is hard to shake, so, too, is my view that the rich and everyone else would benefit financially, spiritually and culturally from a more egalitarian society. They key to this society is the easy ability to get and hold a job that ensures freedom from want. In such a society, billion-dollar food stamp programs are unnecessary. You don’t need public housing or a bloated Medicaid system. And because people would have more pride and self-respect, society would need fewer courts, cops, prisons and mental health facilities. There would be great savings. People would have money in their pockets and the business community would thrive. There is little downside, except perhaps that the very rich would have slightly less money and corporations would not be able to amass huge cash surpluses. By contrast to this semi-utopia, I find the present oligarchical society unpleasant and dangerous. And let’s face it, Thomas Jefferson aside, that’s what it is – an oligarchy. The decline of the Great American Cities is but one example of the damage caused by too few people holding too much money, which is unfairly channeled to them through favorable tax policy and special interest legislation. Let them keep what they earn, what they deserve, what they spent a lifetime building, just check their greed when it denies others. Prior to the great transfer of wealth upward, average people helped keep the cities vibrant by living and working in them. It doesn’t take an archeologist to figure out what went wrong. Go there and see the shells of empty factories right next to abandoned neighborhoods. There are complex reasons for this, but most damaging has been the systematic dismantling of the middle class. No nation can be strong without a fully functioning, accessible middle class. With globalization and the extreme growth of markets in developing countries, this reality has been ignored. It is ignored because the American middle class is needed less and less as consumers of goods and services. Jobs can be eliminated and wages kept low because support can be found abroad. A Sept. 17 report by the U.S. Census Bureau says American men who worked full-time in 2012 earned less in real dollars than men in 1973. Yet the GDP in the U.S. has tripled. Where did all that wealth go? Americans speak well of their one revolution but don’t expect another. Even so, revolution is more common today than ever, and the oligarchy should be cautious not to push too far. For the first time in a very long time, average people are noticing that class warfare is being waged against them. 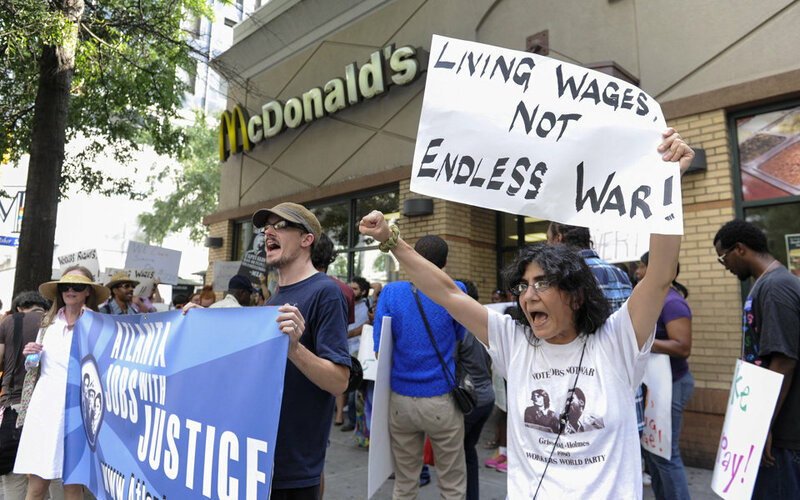 Those who work in the exploitive fast food industry are slowly standing up. They are not asking for $1 more, or $2 more; they basically want their salary doubled to $15 an hour. Those fighting for a more equal society have adopted a new name for what they seek: social justice. That’s convincing and unthreatening. Who could be against that? As a result, their influence is growing. More than people, however, it is raw statistics – overwhelming and indisputable — that are leading the charge. These figures are so dramatic that a director named Jacob Kornbluth, working with former Labor Secretary Robert Reich, has made a movie out of them. It’s called “Inequality for All” and is getting wide notice in the media. It won at Sundance. The people seem ready for it. In such times, even Forbes magazine feels comfortable pointing out that in 35 states welfare payments are higher than minimum wage. 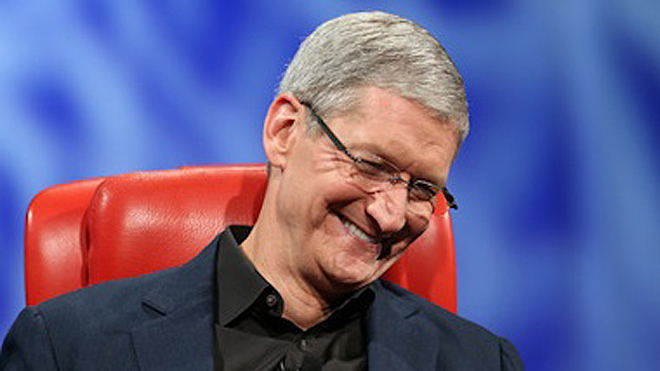 that the $378 million compensation for Apple CEO Tim Cook is equal to the combined salaries of 6,258 Apple employees. And for the quaint people who still read books, Sasha Abramsky has written, “The American Way of Poverty: How the Other Half Still Lives.” It suggests that inequality is designed for social control and that poverty is a key component of the American system that, ultimately, will destroy democracy. Meanwhile, in higher education – once a critical component of upward mobility — there is a great deal of hand wringing over declining enrollment. The concern is that colleges and universities are doing something wrong, and that the traditional model no longer works. In truth, there is nothing wrong with the model. What’s wrong is that without a middle class there isn’t much need for colleges. Unless … the middle class fights back. Amazingly, the democratic system allows it to do that. Even though the system is rigged with sophisticated gerrymandering and unrealistic requirements for campaign funding, there is still a way to change government. The normally passive middle class could rise up. They would do so after watching, reading, fuming, sharing horror stories and trying to support children who can’t find jobs. If they can begin to organize and act with conviction, they won’t even have to work up a sweat. Real revolution is unnecessary. The attentive members of Congress don’t need a weatherman to know which way the wind blows. They sway easily. They took care of the middle class and built up the economy after World War II. It need not be messy. We can call it a revolution without it really being one. We can get people working again and get the economy moving again. Optimism will flourish again. We can reach out and reach up. We can do it all together. The wonderful thing is the uncompassionate can do this for purely selfish reasons. Everyone today is supposed to have a Brand. It used to be that a Brand was a product name, like Kraft or Kellogg’s. Now a Brand is a perceived promise, like Volvo means safety or John Deere means long-lasting durability. Branding has gone beyond the corporate world. Colleges are supposed to have Brands. 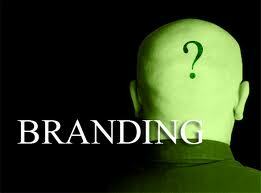 So are people, especially young job seekers, who are told by recruiters to establish personal brands. Political parties talk behind the scenes about their Brand. The informal Brand of the Republican Party is that it is the party for the rich. This Brand works not only on the rich, but also on those who dream of being rich. In reality, both parties have worked hard over the past four decades to dismantle the middle class. So for me, the real Brand of the Republican Party is not so much about the rich but about efficiency. I learned this as a reporter covering the presidential nominating conventions in 1980. The Democratic confab in New York was utter chaos. Idealistic, but a bureaucratic nightmare of sloppiness. The Republican meeting in Detroit, however, was organized, smooth and run better than Disney World. The differences were striking and, I think, reflective of each party’s national character. This came back to mind last week when I read two news items. One involved the Philadelphia Housing Authority, the other Amtrak. The article on the housing authority was about cutbacks in staff vehicles and how at one time 200 authority employees were given free cars to use as they pleased. The piece on Amtrak, the quasi-governmental agency that runs the nation’s passenger railroad, said that over the past 10 years food and beverage concessions on trains lost $800 million. Republicans, I’m sure, have been involved to some degree in both the housing authority and Amtrak. But both agencies really represent Democratic operations. Had Republicans been totally in charge, I doubt those news stories would have been necessary. For starters, we all know Republicans don’t need free cars. Mitt Romney, for example, has so many vehicles he plans to install an elevator in the garage at one of his homes. Big savings there. With Amtrak, the Republicans would have given the food business to a private firm that contributed heavily to the party, and the government would have saved $800 million. These are just two small examples of how the GOP could save the country money. There must be thousands more. If the Republicans could solidify power and close these gaps without giving away the proceeds in sweetheart deals to special interests (far too likely), we might be able to balance the budget without further damage to the middle class. The party could then adopt the branding tagline that AT&T has been using at the Olympics: Rethink Possible. In need of more government help? 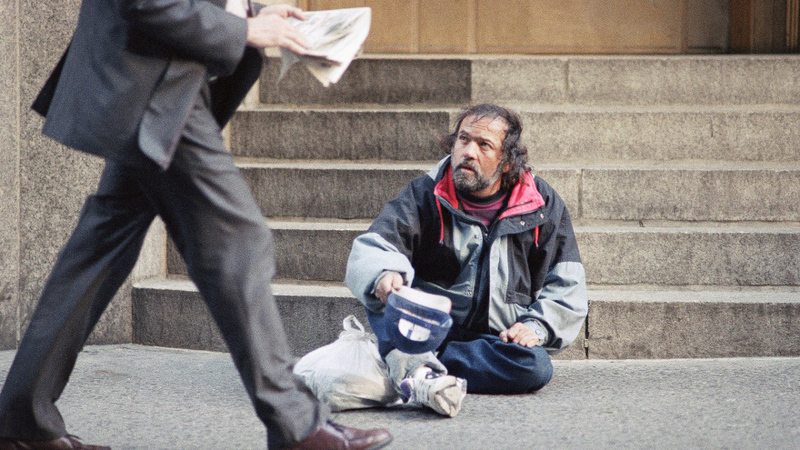 Fewer and fewer people today want their tax dollars to go to the poor. According to the New York Times, their wish is coming true. The government safety net established to keep people from poverty is going through a shift. Its newer mission is to support the middle class. Interestingly, many members of the middle class who are getting the money oppose government handouts. Some of the people interviewed, when asked to discuss the inconsistency between reality and their political beliefs, cried.